I got distracted recently with exposing self proclaimed psychics, which meant that I had left behind Most Haunted, afterall this site is called BadMostHaunted right? Anyway, I have pulled up my socks, and I am back with my world famous award winning Most Haunted exclusive review and spoilers! Really’s terrifying series continues and this week the team heads to Knottingley Town Hall in Yorkshire, a site that once housed a medieval monastery. The location is said to have been used for witchcraft and pagan rituals throughout history, and has been host to alleged paranormal activity. The stage in the main hall is reportedly a hotspot for ghostly goings-on, as visitors are said to have witnessed ghost-like figures of children, heard footsteps, and seen a phantom tea lady. Other reports have stated that the table in the meeting room moves and vibrates on its own accord. With such a broad range of unexplainable events, the team should be in for an intriguing night's vigil! Demonologist Fred Batt decides to conduct an experiment, only known to him, that he says will change the life of one crew member forever. Meanwhile Yvette takes Glen, a sceptic, into the lift, hoping the experience may convince him of the presence of poltergeists and spirits. People often ask me how I get to watch these episode weeks before they air, well the truth is that the legendary Most Haunted Mole simply steals them from the ANTIX production truck, burns them on a DVD and then posts them out to me in Greece, and then when I post my Review/Spoilers Karl gets really angry, has a big meeting with the ANTIX crew, and shouts at them, all why I giggle sipping on my Mojito sat by a pool! You see this is my life! 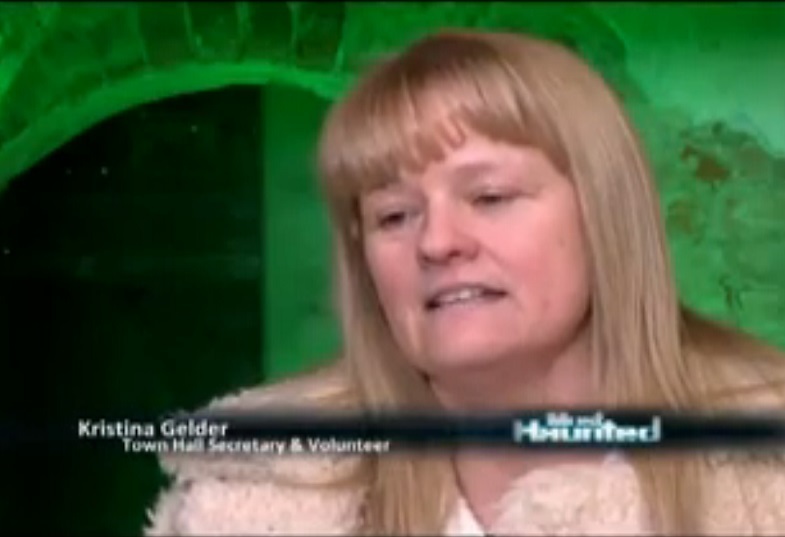 Right then onto the episode, and we are at Knottingley Town Hall, which is a Town Hall in Knottingley apparently, seemingly the latest location that is desperate to drum up some tourists, so sell their souls to the TV spoof world of Most Haunted. Kristina Gelder is the crazy lady wheeled out to convince us that the place is Haunted. Guess she gets her 15 minutes of fame, well 15 seconds, I hope they paid her at least! So this Town Hall is built on an old Monestry, so should be plenty of ghosts! Fred Batt starts off by claiming he is gonna conduct an experiment that will change the life of one of the cast members for ever, I dread to think what utter nonsense he is gonna come out with to fulfil that promise. Yvette tells us that we need to keep our feet on the ground which is why we have Glen Hunt. Surprisingly this week Glen Hunt has his hands in his pocket, and is smirking! Nice to see him mix up his part a bit each week. 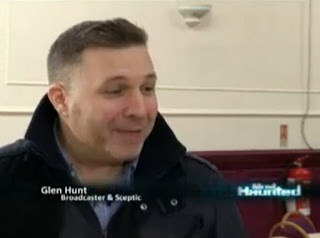 Interesting to note that we are 9 episodes in and Glen is still a skeptic, kinda proves that Most Haunted is a load of nonsense right? One thing to notice is how often Yvette likes to call things infamous. Yvette says they gonna do some seances, Glen quickly spoils things by pointing out there are radiators cooling down, making noises, and will all seem more spooky when the lights are turned off. Yvette just hums a response that would indicate she wants him to shut the hell up. And guess what they are gonna go back to their old favourite of getting in a lift and stopping it mid floor. Remember people health and safety are always present, and would never let anything "real" happen regardless, so you KNOW as a fact that such things are gimmicked. Incase anyone doesn't know the lovely Leah Walton dropped out of filming due to getting up the duff, and apparently being pregnant around Stuart and Karl while they are throwing stones presented a health risk to the unborn child. Yvette and Glen are wondering about in the dark, riveting stuff people, Yvette is calling out to the ghosties, she has not yet asked the ghosts to make a noise with their voice, that is probably why they are so silent. Yvette and Glen are in a lift, and yes this is being broadcast! Yvette is asking for the ghosts to stop the lift, because when you die, you have nothing better to do than stop a lift to annoy someone. And as expected nothing happened. So off to Eammon to see if he has picked up any random noises which he can filter, twist and desperately try to make sound like a voice. As expected they get sodall. Poor Ruth. Yvette and Glen sit down to eat their dinner and are joined by a dirty tramp who has wondered into the building. Karl and Stuart finally appear, they have been suspiciously quiet. And within 10 seconds they are hearing bangs on the floor. 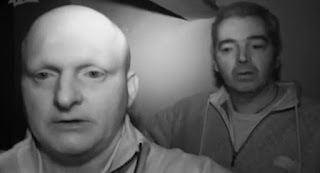 As I watch this episode I can pretty much guess the rest of it without watching, and that is the big problem with Most Haunted, it is too predictable, if you are going to make a spoof paranormal ghost hunting show, you got to mix it up a bit, like how Ghost Adventures do, they fake lots of different things each week! Reminds me of The Last Supper, just with 3 random tramps who have wondered in off the street! Fred, Karl and Stuart are off investigating an area, Stuart claims he has heard a moan, and states as fact it sounded like a woman moaning, the only moans Stuart has heard are of the women he tries to chat up. I hear his best chat up line is "I'm looking for treasure - can I have a look around your chest", and the only woman that has ever worked on is his cousin Yvette! AWKWARD! Some more wondering about, banging heard every time they turn around, so as usual nothing caught on camera. There is a funny moment whereby Fred is nearly caught throwing something, but manages to get his hand in his pocket in time before Stuart films him. God this is boring. I am literally getting more stupid every second I watch of this. So I am afraid thats it for me. Nothing much else happens, some things thrown, they go in a lift. Yvette gets scared, Stuart breaks wind and Glen smirks, they listen to some more EVPs that just sound like gobbildygook, and we are then told it was one of the best locations ever. Thank frell there isn't many more of these to go. I'm signing off as it is Saturday night and I need a Mythos!